Two Saturdays ago Miss L, Miss B and Miss T came along to hear me sing in a concert - afterwards, they suggested an impromptu Yum Cha Posse for the following afternoon, prior to F&H's engagement drinks. It had been AGES since the last YCP! 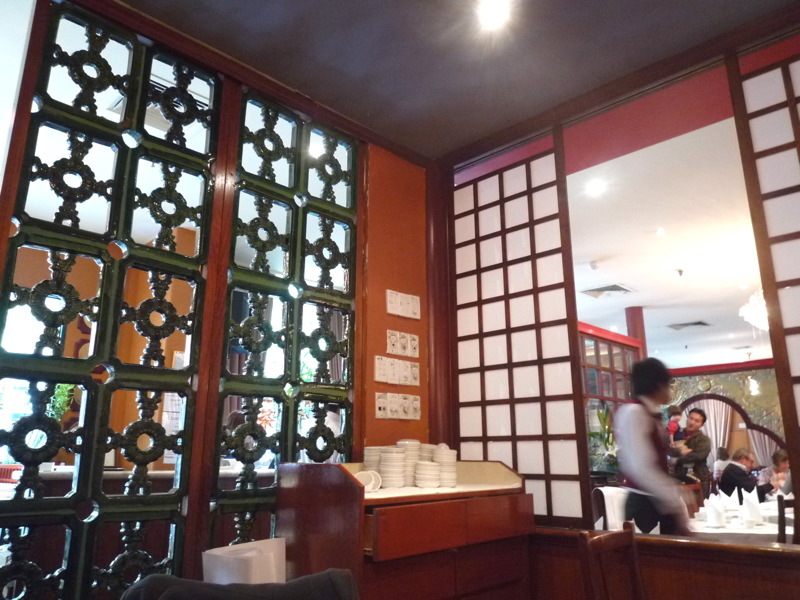 We settled for John So's Dragon Boat Palace, and M and H also joined us. 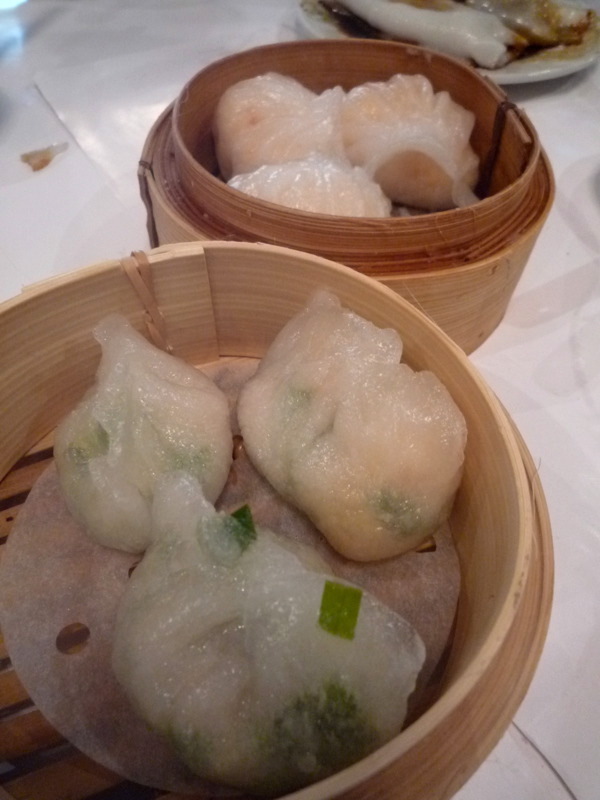 We yummed up a whole lot of dumplings to start with, including har gow (prawn dumplings - my brother Buster's absolute favourite yum cha dish) and prawn and vegetable. 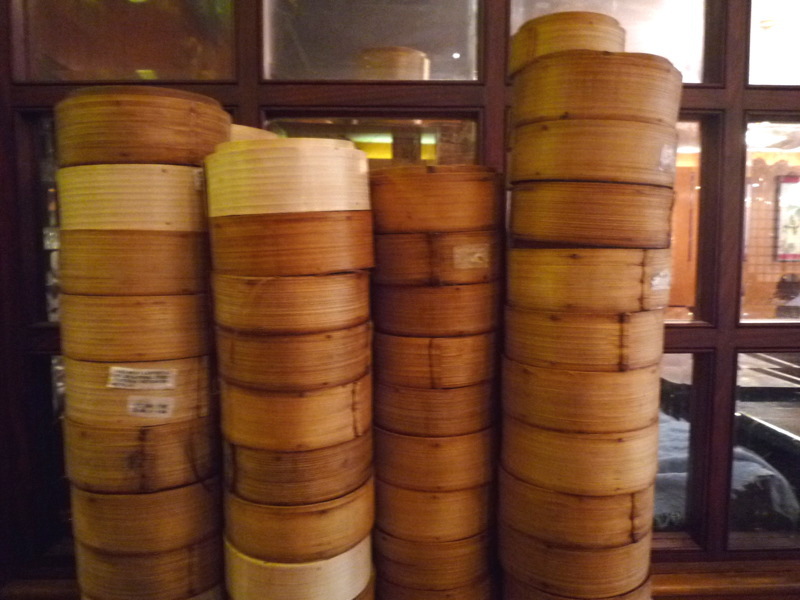 My absolute favourite yum cha dish, chee cheong fun (rice noodle rolls), is just visible there in the background. 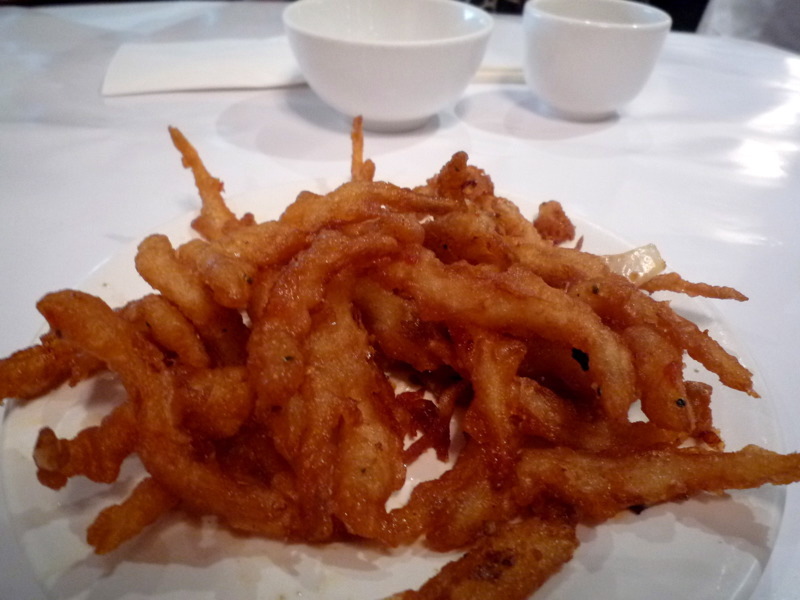 For our fried dish, we eschewed the chewy calamari and opted instead for these excellent whitebait in batter. 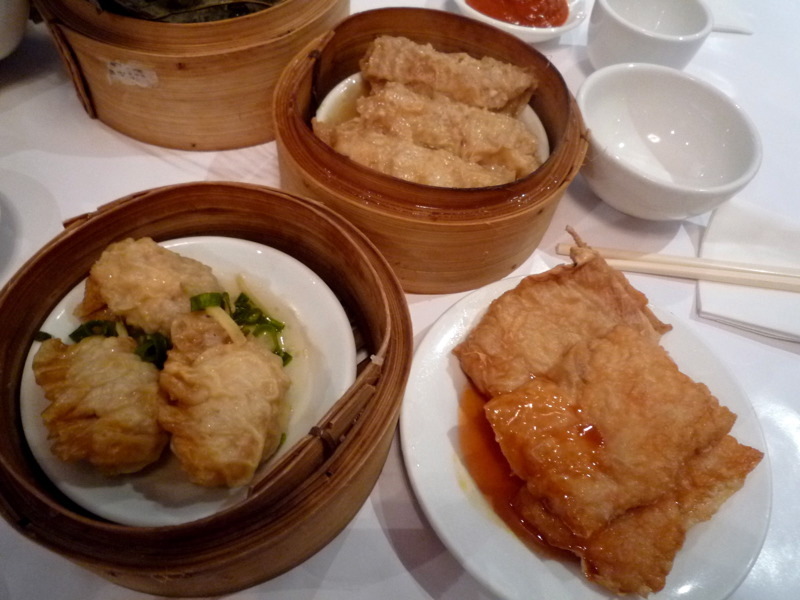 rolls and dumplings encased in bean curd skin. The gingery prawn ones were especially good. 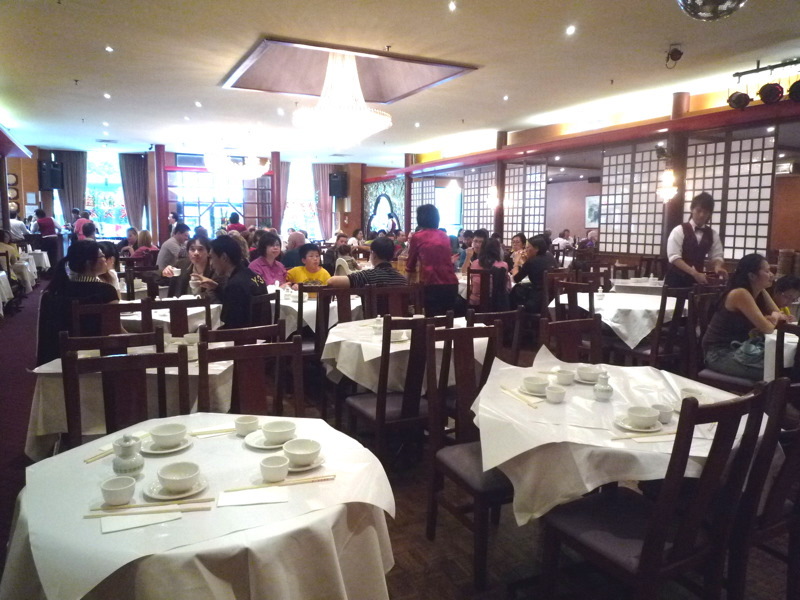 While I don't think Dragon Boat Palace is the best yum cha restaurant in Melbourne, I find it's pretty reliable for pretty good yum cha. One of the things I really like about it is the side galleries - it breaks up the space nicely but one still gets full access to all the trolley goodies. 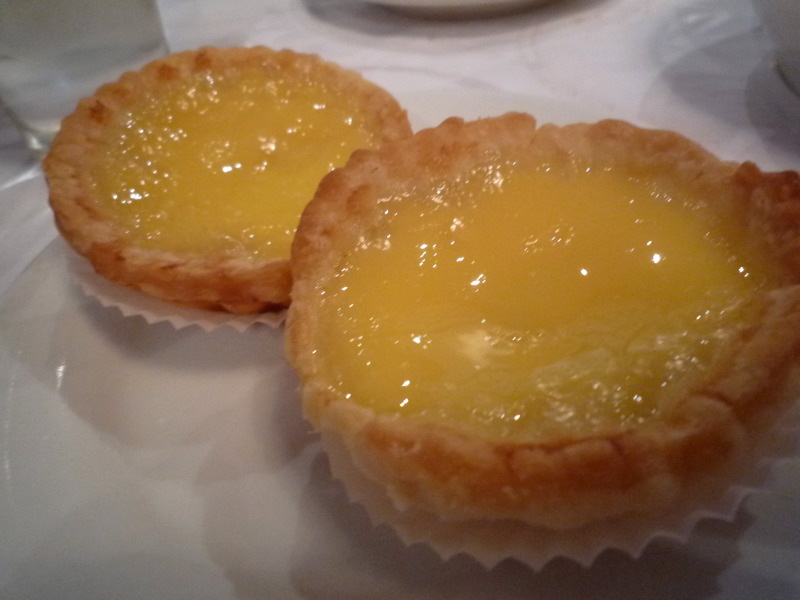 The egg custard tarts were still very hot when they came out. Mmmmmmmm. Miss L suggested we also get some silky tofu for dessert. 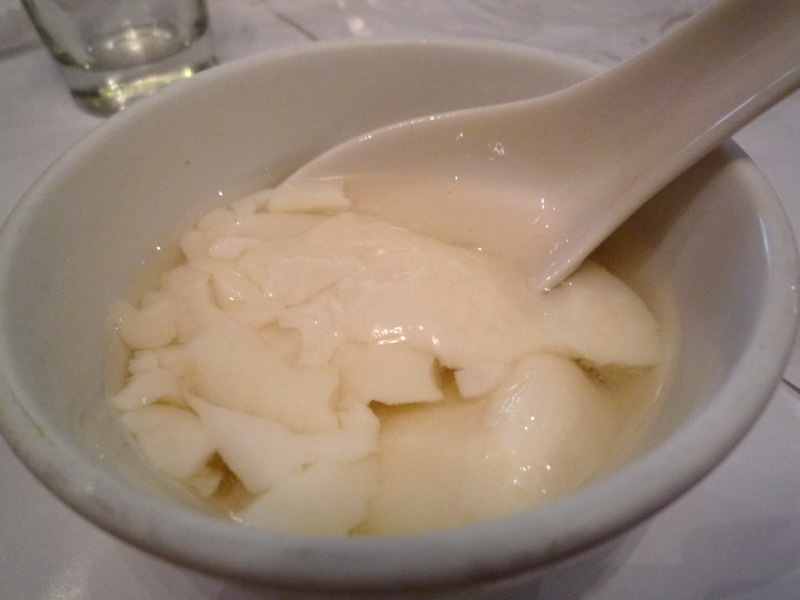 Despite adoring silky tofu in Chinese dishes like ma po fofu, and having read about this dessert with interest when Mellie from Tummy Rumbles reviewed Shark Fin House last year, I had never tried this dish before - silky tofu in a light ginger syrup. It's delicious and subtle and as Mellie said, the perfect post-yum cha palate cleanser. I'll be ordering it every time from now on! 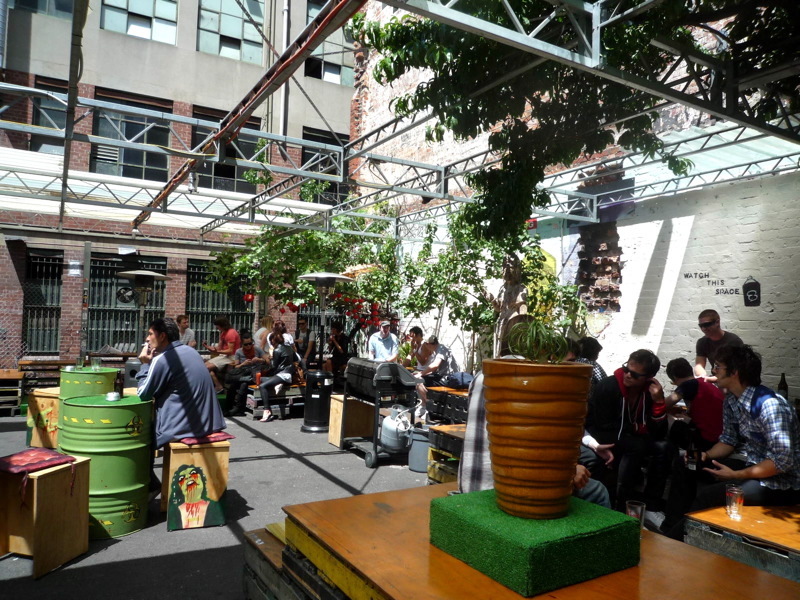 We were a bit early for the engagement drinks, so we wandered along the Chinatown alleyways, admiring the street art and stopping in at Section 8 for a quick sunny drink. We eventually made our way up to Rooftop to congratulate F and H on their impending nuptials... spent the rest of the afternoon basking in the sun on overstuffed cushions and drinking Pimms cocktails. Not a bad way to finish the weekend! Mmm...I just love dau fu fa. Sometimes you might see it served with a brown sugar syrup as well, which is quite yum. 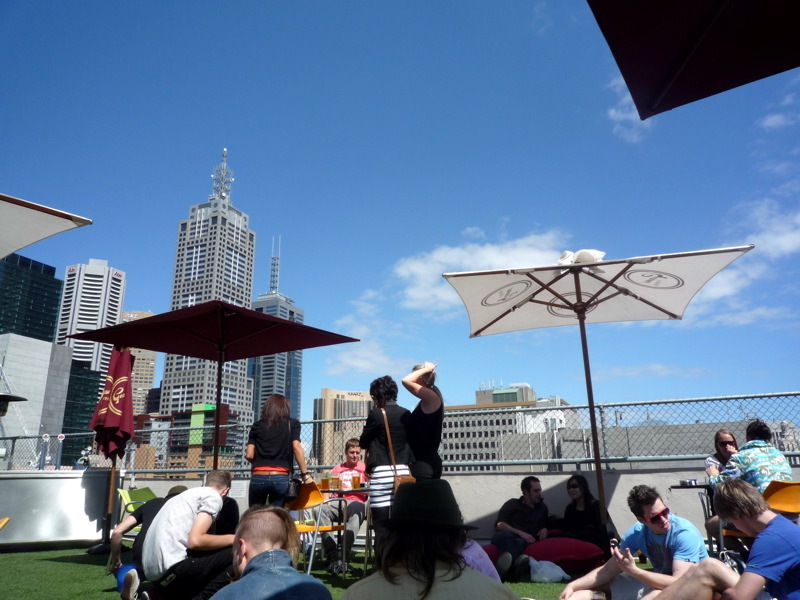 Aww you make me miss Melbs so much! 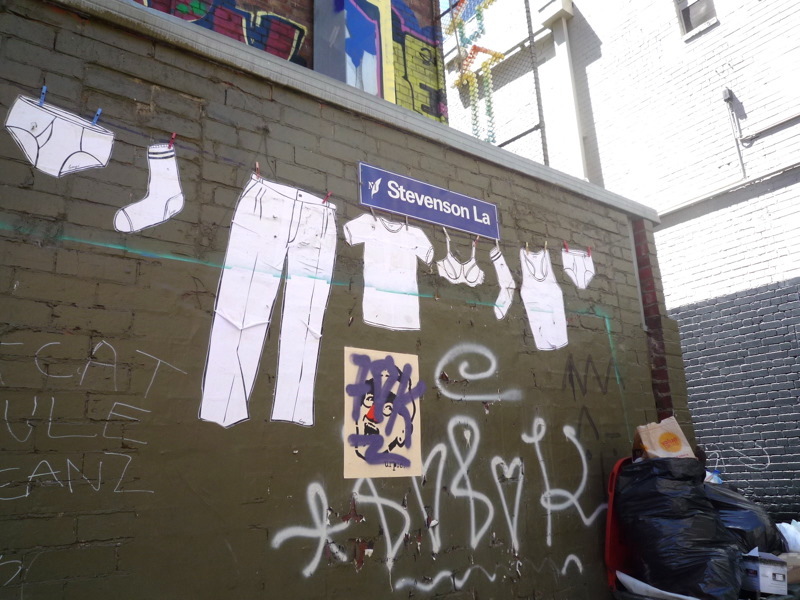 The Skeleton paste-ups are a Melbourne artist named Vexta. 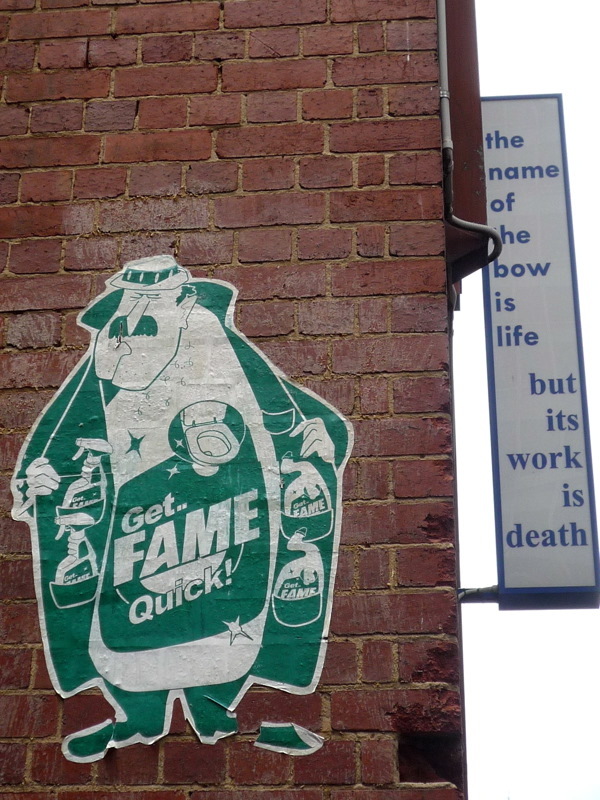 Aw, Anonymous#1, what prawny yum cha-deprived corner of the world are you living in? You have my sympathies! Thanks for identifying the artist for me Anonymous#2! I have updated accordingly.